Is Jive Software Inc (JIVE) A Good Stock To Buy? Legendary investors such as Leon Cooperman and Seth Klarman earn enormous amounts of money for themselves and their investors by doing in-depth research on small-cap stocks that big brokerage houses don’t publish. Small cap stocks -especially when they are screened well- can generate substantial outperformance versus a boring index fund. That’s why we analyze the activity of those successful funds in these small-cap stocks. 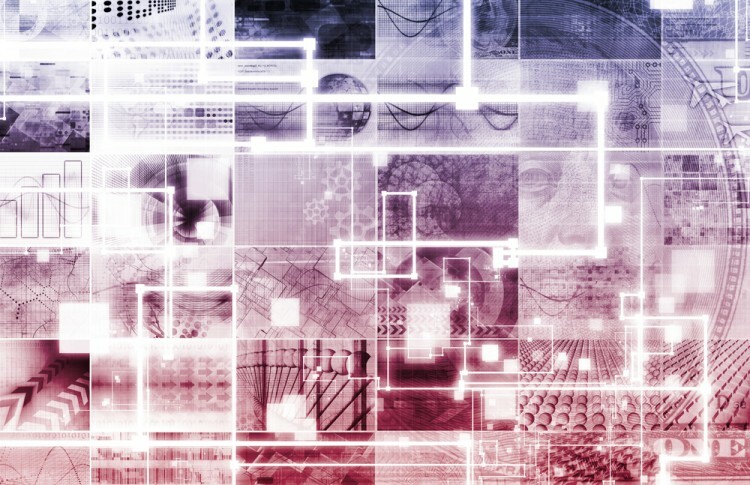 In the following paragraphs, we analyze Jive Software Inc (NASDAQ:JIVE) from the perspective of those successful funds. Is Jive Software Inc (NASDAQ:JIVE) an outstanding stock to buy now? Hedge funds are definitely actually turning less bullish. The number of bullish hedge fund bets suffered a reduction of 2 recently. 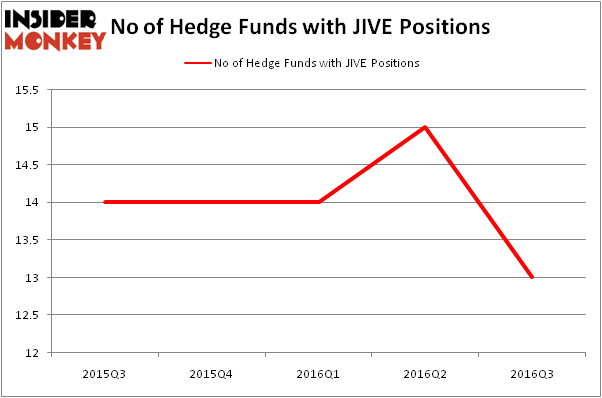 JIVE was in 13 hedge funds’ portfolios at the end of September. There were 15 hedge funds in our database with JIVE positions at the end of the previous quarter. At the end of this article we will also compare JIVE to other stocks including Dorian LPG Ltd (NYSE:LPG), UMH Properties, Inc (NYSE:UMH), and BioScrip Inc. (NASDAQ:BIOS) to get a better sense of its popularity. How have hedgies been trading Jive Software Inc (NASDAQ:JIVE)? Heading into the fourth quarter of 2016, a total of 13 of the hedge funds tracked by Insider Monkey held long positions in this stock, down by 3% from the previous quarter. On the other hand, there were a total of 14 hedge funds with a bullish position in JIVE at the beginning of this year. So, let’s see which hedge funds were among the top holders of the stock and which hedge funds were making big moves. According to publicly available hedge fund and institutional investor holdings data compiled by Insider Monkey, Okumus Fund Management, led by Ahmet Okumus, holds the number one position in Jive Software Inc (NASDAQ:JIVE). Okumus Fund Management has a $14.5 million position in the stock, comprising 3.3% of its 13F portfolio. The second largest stake is held by Jim Simons’ Renaissance Technologies, which holds a $13.1 million position. Other professional money managers that hold long positions contain Bruce Salomon’s Elberon Capital, Jack Ripsteen’s Potrero Capital Research and Brett Hendrickson’s Nokomis Capital. We should note that Potrero Capital Research is among our list of the 100 best performing hedge funds which is based on the performance of their 13F long positions in non-microcap stocks. Is Northstar Realty Europe Corp (NRE) Going to Burn These Hedge Funds? Should You Avoid Nationstar Mortgage Holdings Inc (NSM)? Hedge Funds Are Still Buying Novanta Inc (USA) (NOVT) Is Liberty Sirius XM Group (LSXMK) A Good Stock To Buy? Hedge Funds Don’t Think Very Highly of Annaly Capital Management, Inc... Is Nordic American Tanker Ltd (NAT) A Good Stock to Buy?